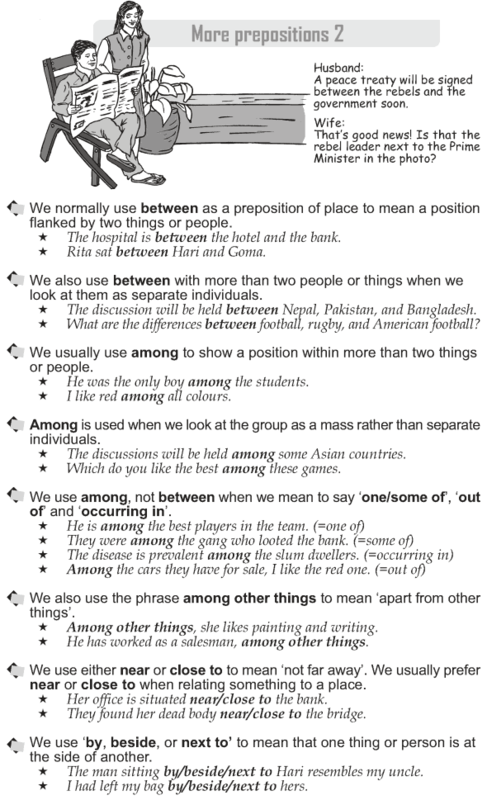 What is the difference between the prepositions ‘between’ and ‘among’? What does the phrase ‘among other things’ mean? Which is more preferable: ‘near’ or ‘close to’? Do ‘by’, ‘beside’ and ‘next to’ mean the same? We normally use between as a preposition of place to mean a position flanked by two things or people. We also use between with more than two people or things when we look at them as separate individuals. We usually use among to show a position within more than two things or people. Among is used when we look at the group as a mass rather than separate individuals. 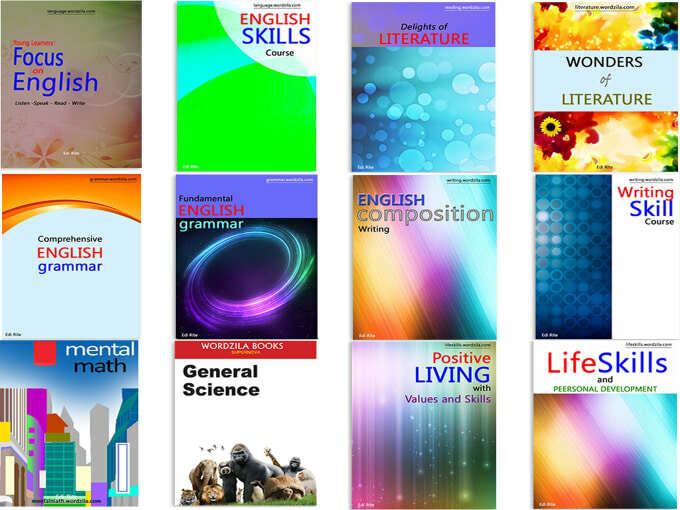 We use among, not between when we mean to say ‘one/some of’, ‘out of’ and ‘occurring in’. We also use the phrase among other things to mean ‘apart from other things’. We use ‘by, beside, or next to’ to mean that one thing or person is at the side of another.